Looking for that perfect tie to add to your slim fit black button up? 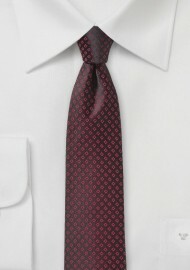 Then this skinny tie by Puccini should be towards the top of your list. 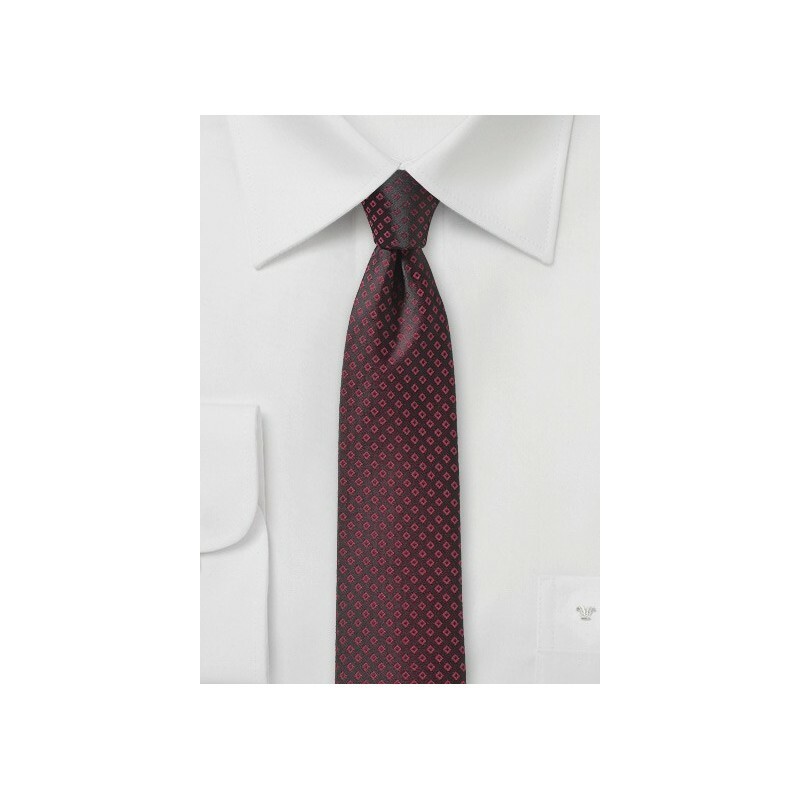 The jet black background is decorated with a micro check in deep burgundy that is not printed on, but woven into the fabric. A fantastic blend of color, cut, and design that any modern man will appreciate. Made from woven microfiber.